for the baby and the caregiver6. 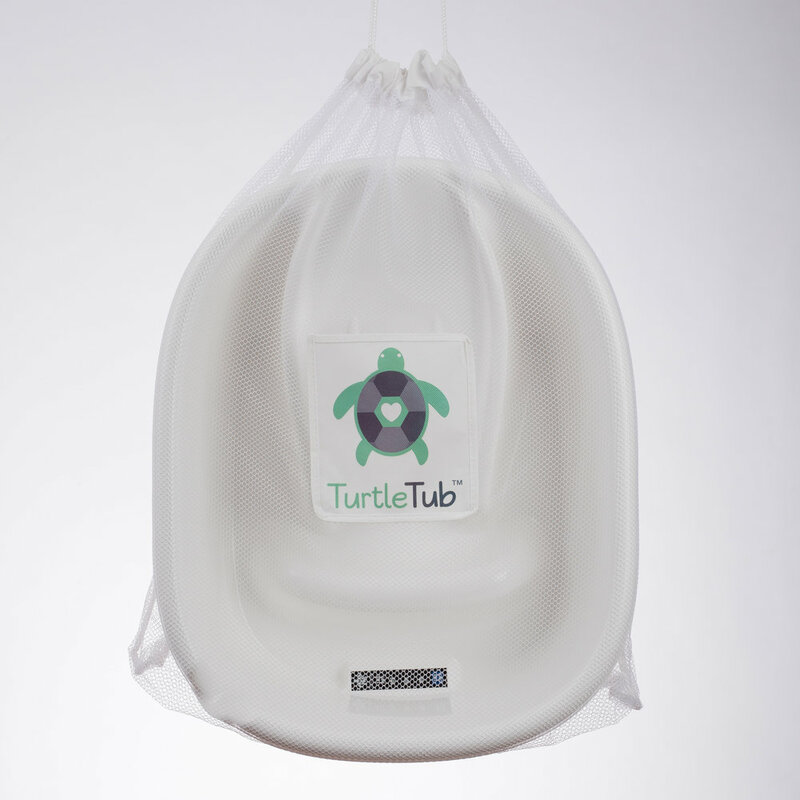 This video shows the features and benefits of the TurtleTub as well as a detailed demonstration on how to use the product and how to swaddle bathe. 1) The TurtleTub functions as a single-patient-use tub. It is used one or more times on the same infant and then gifted to the family after discharge. This approach is the most family-centered and has potential to impact patient satisfaction. 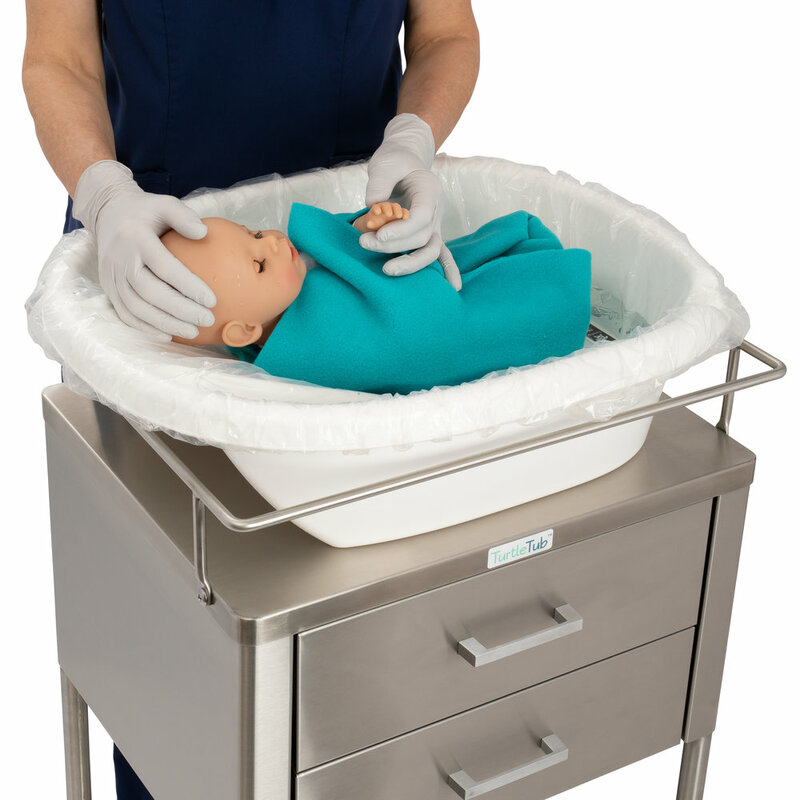 2) The TurtleTub functions as a multi-use tub in which it is reused on multiple patients with a clean, disposable plastic liner for each infant. 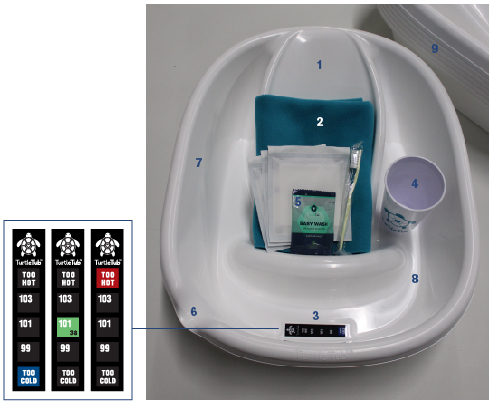 3) A combination approach suggests that the hospital uses the TurtleTub on multiple patients with the liner, but single-use tubs are stocked to gift to families who would most benefit from having the tub at home. Extended length-of-stay, infants with NAS, families with minimal support systems, and infants in isolation should all be candidates for a single-patient-use tub. 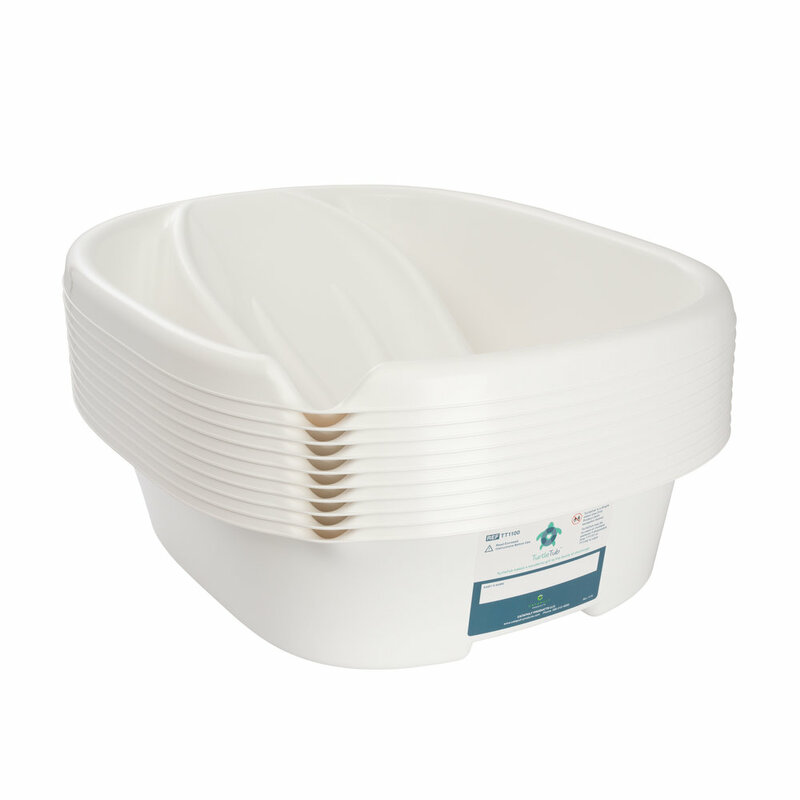 Using our disposable liners allows the TurtleTub to be re-used on multiple patients.